Crimson Haze. The winners received the “Ze"Ta” destroyer"s cabin and 1000 GS! Crimson Haze. 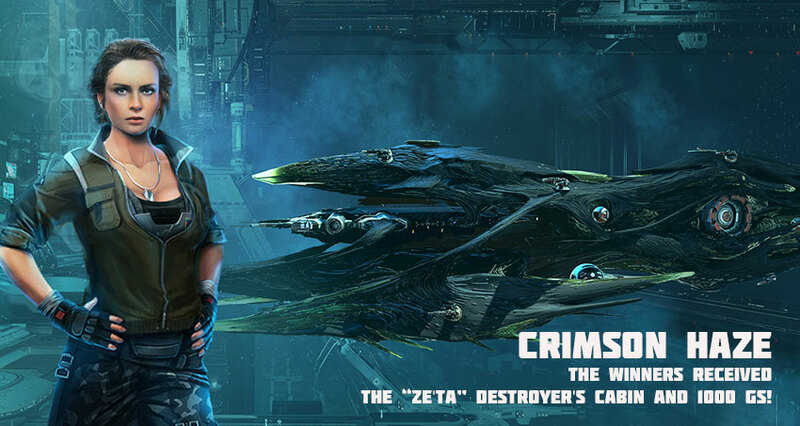 The winners received the “Ze'Ta” destroyer's cabin and 1000 GS! Pilots! The holidays are over. It's time to give special rewards to those of you who were able to successfully complete the PvE mission “Operation Crimson Haze” at the highest level of difficulty* recorded by the UMC engineers on January 31. It was level 32. They got the cabin of the destroyer “Ze'Ta”. The reward is already waiting for its heroes in the game on their accounts. All pilots who have reached the 20th level of difficulty were awarded 1000 GS. The reward has been added to your account automatically.